The Division of Student Affairs values parents as partners in the education of students. The better informed you are about SDSU, the better resource you can be for your student. New Student and Parent Programs supports new SDSU students and provides programs and services to parents of all SDSU students through its Aztec Parent Programs. Your student's education and well-being are the top priorities for Student Affairs. 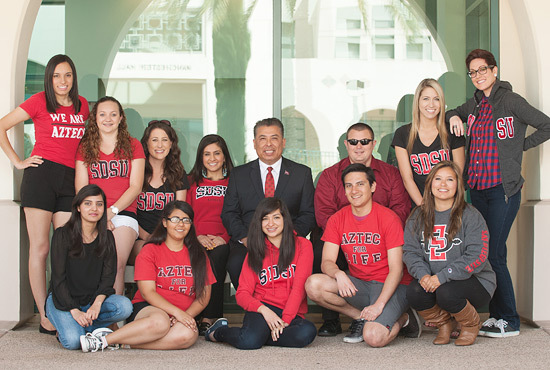 In addition to having a nationally recognized program for new students and parents, we provide services and programs to help students achieve success throughout their time at SDSU and beyond. I encourage you to explore our website. It provides a wealth of information that will help make your student's SDSU experience the best that it can be. The better informed parents are about SDSU, the better resource and coach they can be for their students. This partnership opens the channels of communication between parents and the university and impacts programs and services, improving the quality of life for all SDSU students. 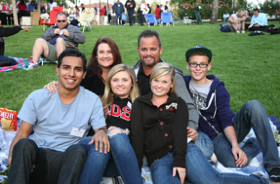 The Aztec Parents Association encourages parents to become involved and stay involved while their student attends SDSU. Programs include Parent Orientation, New Student and Family Convocation, Family Weekend and more. A volunteer organization dedicated to keeping parents involved in their student’s education while supporting programs and services for SDSU students. Contributing to the Aztec Parents Fund improves the quality of life for all SDSU students and ensures that your student continues to receive the well-rounded, quality education SDSU is known for. AidLink is an online tool for students to check their financial aid, any time, anywhere. Students can set up a parent account to authorize limited access to their parent or guardian. Career Services information for parents: Find out the many ways you, as parents of students and alumni, can help them build bridges to their future careers. Education abroad information: Find all the information your student needs to study abroad. Family Education Right to Privacy Act (FERPA): As a parent, you may want access to your student’s grades, financial records, discipline records, etc. Under FERPA, SDSU is limited in the information that may be shared. The parent has no right to review certain records unless granted permission, in writing, by the student. Parents cannot receive grades, academic transcripts, or a class schedule unless the student shares it or signs a release. Fraternity and sorority life, parents’ guide: Become informed about Greek life activities, especially the new member education process. Well-being & Health Promotion information for parents: Find information to help parents address their concerns about student's health and wellbeing. Student Ability Success Center information for parents and families: Learn about services and accommodations, program highlights, student confidentiality, and more. Your Student's Safety at SDSU: Learn about how SDSU works to keep your student safe. Need help navigating the university? Have questions or concerns? 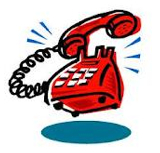 Try the Parent Hotline, (619) 594-1653, and a member of the Parent Programs staff will assist you. Parents and family members may subscribe to SDSU's Emergency Alert System to receive a text or an email in the event of a campuswide emergency or health and safety concern. Learn more about your student's safety at SDSU. Parents of college students get mixed messages about how much of a role to play in their student’s education. But at San Diego State, the message is clear: parent participation is welcome.